Under the scrutiny of her uncle, Jun must prove that she can become the head of the family. But she also must prove to herself that she is capable of sustaining a romantic relationship, even if her intended has an insatiable wanderlust. 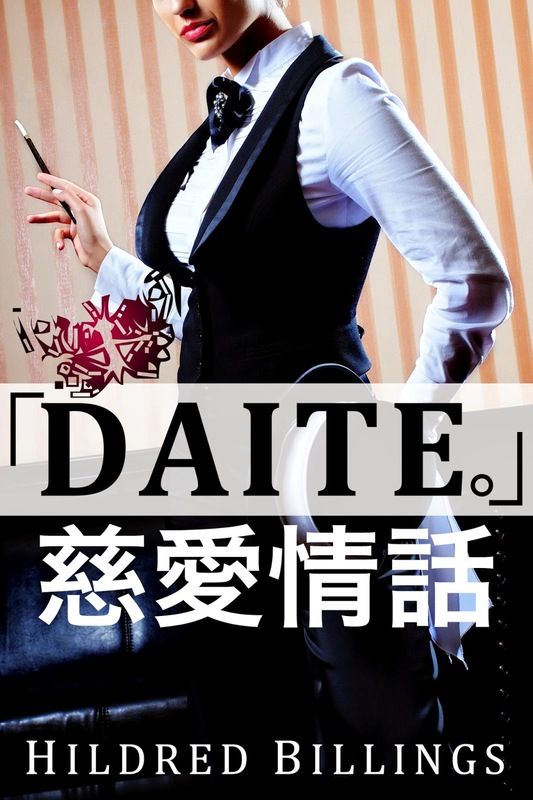 Her family’s judgment, Saya’s crippling demons, and the needs of the people she meets along the way will all conspire to make Jun say, “daite,” or “hold me,” never again. After finishing her wine and one more haiku, she put her phone away and told the server she was returning to her room. That was a bit disingenuous. First she went back into her office to make sure everything was organized for Monday, and then she went to the front desk to check on Mimi. The night auditor expressed her gratitude when a sudden late party of twenty people, each pair with their own room, came to check-in and Jun jumped up to take care of it alongside Mimi. When they were processed and on their way upstairs, Jun bowed out of work one last time and finally retreated to her corner of the hotel. The staff area of the hotel was emptier than Jun had yet to see it. Without even so much as a custodian pushing his way through the back hallways, Jun felt like she was walking through an abandoned building as opposed to a bustling hotel on a weekend. At least this means it’ll be quiet tonight. A full night’s sleep was what she needed. She had her keycard out already as she turned the corner and skipped up the staircase to her room. The shadows on the top landing stirred, but she paid them no mind. No one else was ever up there. Jun nearly had a heart attack as she stepped off the stairs and saw a figure lingering in the far corner. “Does it matter?” Saya’s voice was gentler than Jun anticipated. Before she could finish her sentence, a finger pressed against her lips, silencing her. Jun went cross-eyed staring at Saya’s hand touching her in an intimate way… again. Who is she? Even for someone her age, Saya was more brazen than the average person. What does she want? Money? This was a bizarre way to get it. Jun was one phone call away from summoning security. Between that touch and that look searing into her, she couldn’t bring herself to demand that Saya leave her alone. Jun knew that look. She had seen it a hundred times before, on women who knew what they wanted. It was the universal expression of suggestive desire. Saya plucked the card key out of Jun’s hand and turned to the door. Jun watched as the young woman unlocked and opened the door. Her body was halfway through it when she glanced over her shoulder and raised her eyebrows. Chills flurried inside Jun’s chest. What is going on? It’s what her brain wanted to know. Her intuition, however? It knew. It had known from the moment Saya came to her at dinner. Saya waited for Jun to come near her before spinning around, chin up and eyes narrow. She bore a scalding look into Jun’s face, making her tremble without touching her. It reminded her of the type of look she liked from a certain friend in Tokyo, who dominated her better than anyone she knew. I like that. Women usually wanted to be submissive in Jun’s bed. It took her into a trance, the kind that sucked her down further, further into the floor, where she was a slave to the woman gazing upon her with serene desire. Jun couldn’t move unless Saya touched her. Then she could only move away from her, afraid to be too caught up in those hypnotic eyes. But the only way to go was to the bed, and so Jun sat on its edge, hand still in Saya’s. Her feet were anchored to the floor for as long as the trance lasted. Although she said not a word, Saya’s demeanor spoke volumes. She looked upon Jun with a knowing so assured that it was inhuman; she moved her limbs with the fluidity of a graceful dancer. I don’t even know who she is. Saya slipped her leg between Jun’s, leaning forward as she wrapped her arms around the back of a hot, shivering head. I don’t know where she’s from or where she’s going. Jun picked up many one night stands before in bars, clubs, even conferences, but she had never done something like this…whatever this was. A rasping, heavy breath chattered in Saya’s chest. I’m that close to her. Saya took Jun’s hand and placed it on her stomach, fingers instinctively curling around her thick belt. She’s so thin. Jun had no preference in that regard, but she couldn’t stop staring at the inward navel poking out from beneath a T-shirt. The trance inside her intensified. Her hand was guided beneath the soft cotton of Saya’s shirt, cruising up her abdomen and stopping beneath her breasts. Oh, God. Jun didn’t believe in any deities, but she couldn’t help but call upon them when on the brink of madness. Saya pushed her over the edge when she bent down and kissed Jun on the forehead.